Single or double-girder crane? Konecranes experts help advise you on the right crane choice. /INS. A common misconception about overhead cranes is that double-girder cranes are perceived to be more durable and of higher quality than single-girder cranes. “Both types of overhead cranes are, however, equally durable and of the same high quality,” says Leon Strydom, Industrial Crane Products Sales Manager for Konecranes Southern Africa. “On the contrary, single-girder cranes can actually have plenty of advantages over double-girder cranes,” he adds. A single-girder crane is more compact and lighter than a double-girder crane, which makes it a preferred choice for facilities where headroom and floor space is limited. Even in situations where items have to be lifted and moved close to the building walls, a single-girder crane can have a better end approach to the building, allowing the hook to move closer to the wall. With only one girder, minimum deadweight is applied to the building foundations, allowing for more cost-effective building designs and runway constructions. On top of that, less steel is required to manufacture the girder, making it an inexpensive lifting solution for various applications and industries. A single-girder crane may not, however, be the most suitable choice in every scenario. If a higher lifting capacity, height of lift or a service platform is needed, a double-girder crane might be the better option. It is always important to understand the requirements of the lifting task and the environment where it is planned that the crane will operate, to provide the best lifting equipment for the site. The Konecranes range of CXT wire rope hoist cranes is ideal in almost any industrial setting where a lifting capacity of up to 80 tons is required. Adaptability gives the CXT wire rope crane one of its greatest strengths –being available in every form from basic standard to high-tech advanced lifting. Single-girder cranes are available with low headroom trolleys up to 12.5 tons or normal headroom trolleys up to 40 tons, while CXT double-girder cranes can feature up to an 80 ton lifting capacity. The CXT hoist is known for its efficient use of space under the crane and its excellent hook approaches. Because all the key mechanical components are designed specifically for crane usage, manufactured and assembled in-house by crane experts, the CXT is a top performer. Safety is improved through high-performance brakes, durable wire ropes and remote operation. The adaptive speed range means that loads move at an optimal rate, enhancing control over the load and improving productivity, yet still saving energy. In its field, this robust, all-purpose crane is ideal. The CXT is an industry leader in medium-heavy lifting indoor cranes and is a firm favorite around the world: over 10,000 CXT hoists sold every year indicates its reliability, efficiency and value. Have you already heard of RailQtm Runway Survey? Having the right part for your crane. Konecranes introduces a new heavy-duty overhead crane ideally suited to Southern Africa– UNITON. Konecranes introduces a new heavy-duty overhead crane to the Middle East– UNITON a crane with just the performance you need. 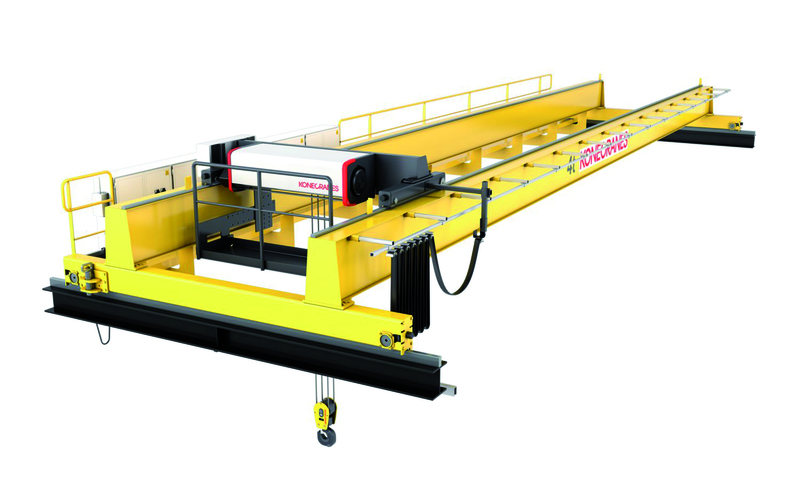 Konecranes adds more high-tech features to its heavy-duty overhead crane – SMARTON. How healthy is your crane? Konecranes will present its comprehensive product range at MED PORTS 2014 in Marrakesh. Konecranes brings worldwide experience to the local power industry. Konecranes has wide experience serving the power industry. Konecranes Spare Parts Service is fast and brings total cost savings. Konecranes products for hazardous environments: tough in extreme operating conditions. Hot and heavy: Konecranes manages Steel Industry challenges with intelligent lifting solutions. 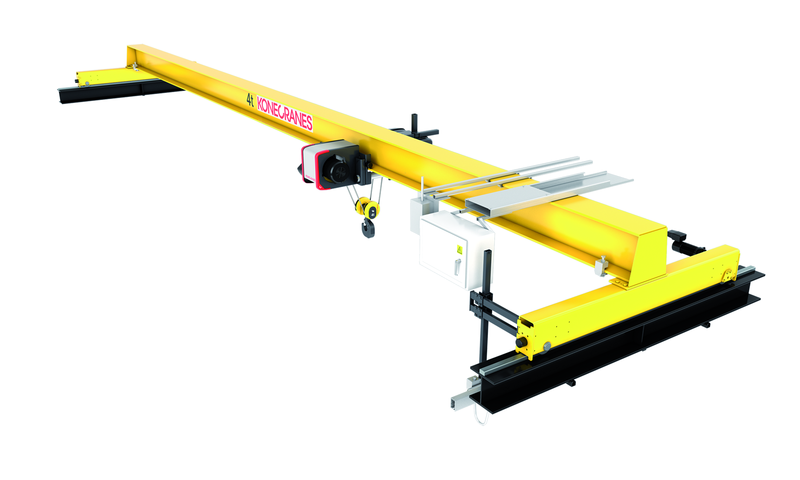 Workstation Lifting Systems (WLS) from Konecranes offer solutions for a variety of lifting needs. Advanced Diagnostics Services from Konecranes increase accuracy, safety, and efficiency of crane operations.